My on and off affair with golf started when I was about 17, and has been somewhat tumultuous. Like many duffers, I’ll take some time off, then mosey out to the range after watching a PGA event on TV. Next thing you know, the seductive temptress known as a promising round appears with her flowing hair as beautiful and dangerous as windblown fescue — and once again I’m hooked and helpless. Walter White himself might as well be running the clubhouse cash register. Yet with viewership of the PGA’s major tournaments reportedly down — often credited to Tiger Woods’ absence (he’s battled serious injuries and hasn’t won a major since 2008) — and with Millennials more interested in soccer (and their smartphones), there’s been much speculation that the game’s popularity has dropped off like a shank over a Pebble Beach cliff. Many attribute it to the time commitment of an 18-hole round — and legend Jack Nicklaus even proposes a move to a 12-hole standard outing for amateurs. Contrary to popular belief, there are positive stories in equipment sales, rounds played, and even employment opportunities. The professional game might be on better financial footing than any other individual sport, and maybe most important, the game’s leaders have embraced the idea of growing the game in its most important way: young people. The story of golf in July 2014 certainly is not candy canes and rainbows, but those clouds might not be as dark as others have been so quick to point out. Has 2014 been a down year for equipment sales and rounds played? Certainly. Is there an oversupply of golf courses (fueled by unsustainable real-estate projections) and golf-equipment inventory (driven by overzealous manufacturers who were primed by unrealistic sales forecasts from certain large-scale retailers)? Unquestionably. But that’s a relative and limited point of view. First, let’s remember this: There were about 5 million golfers in 1960. While U.S. population has increased only some 75 percent since then, the number of golfers has more than quintupled to around 25 million. 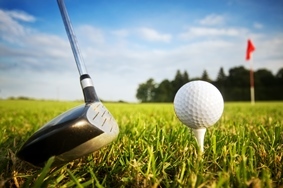 Recent data from golf-retail research firm Golf Datatech show that the sale of hard goods (clubs, balls, bags, shoes and gloves) through the first six months of the year are higher than or equal to 12 of the previous 17 years. Is the trend line down from the somewhat freakish highs of 2006-’08? Yes. But there are unquestionable categories of enthusiasm this year. Iron sales, the largest purchase a golfer makes, have been up this year. The wedge market, thought to be dead after the USGA rolled back groove performance, has been consistently up this year. Even the footwear market has been an important, steady source of revenue. Callaway Golf just announced its second-quarter earnings and noted its sales for the first half of 2014 were up 9 percent, with growth in all categories, including woods (up 8 percent), irons (up 14 percent), putters (up 9 percent) and golf balls (up 7 percent). Bishop and other leaders believe young people are not only the catalysts for golf’s future, but the strongest elements of golf’s present. Finchem points to The First Tee reaching a record 3.5 million youngsters in the last year. That’s a powerful number when you realize that a traditional, outdoor, analog game like golf is somehow energizing a nation that is eschewing physical education, battling a growing childhood-obesity problem and fighting a culture that sees kids spending nearly eight hours a day in front of screens. This entry was posted in Business News, Wellness and tagged 12-hole golf, finchem, golf, Golf Digest, jack nicklaus, millennials, pga, popularity, tiger woods by Matt L. Ottinger. Bookmark the permalink.